Harper Adams Univ Coll., ASSET student. BSc Agriculture, University of Nottingham, Sutton Bonington, ASSET student. BSc Agriculture, Harper Adams University College, ASSET student. Honingham Thorpe Farms, Colton, Norwich. F S Dann & Son Ltd, North Tuddenham, Dereham, Norfolk. Bsc Biochemistry at the University of Hertford. PhD Research Assistant at NIAB TAG, Cambridge. PhD Assistant Research Scientist, working on developing useful wheat lines for NIAB TAG, Cambridge. 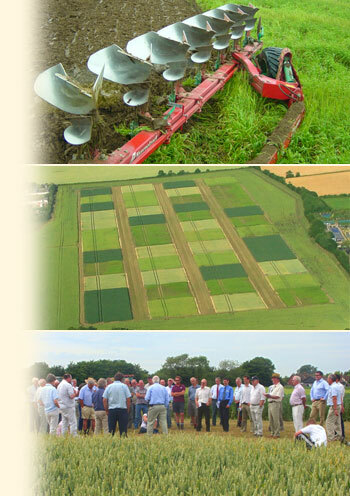 Farm Manager, The Morley Agricultural Foundation, now has regular slot on Radio Norfolk. BSc Agriculture, University of Reading, ASSET student. BSc Agriculture, University of Reading. BSc Agriculture, Harper Adams University, ASSET student. PhD in plant hormone genetics and sugar beet breeding, Broom's Barn Research. Research internee on opportunities for young entrants to agriculture with Norfolk YFC. BSc in Agricultural Business Management at Reading University, ASSET student. BSc Agriculture at Newcastle University, and about to join Co-operative Farms as a management trainee, ASSET student. Schools Liaison Officer, Otley College; then European Equipment demonstrator with New Holland. Post-Doctoral research Fellow – Molecular Plant Virology, University of Greenwich. BSc Agriculture, Newcastle University, then agronomist with Agrovista, ASSET student.